Robinson High School in Tampa, Florida will not play its first football home game at home later this month. Due to some corroding screws and other issues recently uncovered with the football bleachers on their home field, Robinson's first home game has been moved, with plans to return to their home field still uncertain. After an inspector at the school recently found corroding screws and some other issues of concern, it was determined that games would not be played at home until they were inspected and deemed safe for spectators. "At this point, we have shut it down. We are not going to allow anybody into the bleachers until we know that they are solid and safe," said Stephen Hegarty with Hillsborough County Public Schools. This major safety concern has parents worried and wondering how bleachers could get in this condition. The bi-annual inspections have apparently not been frequent or thorough enough to keep school bleachers safe. Luckily for this school, the issues were uncovered before any accidents occurred. Other schools and facilities have not been so fortunate. 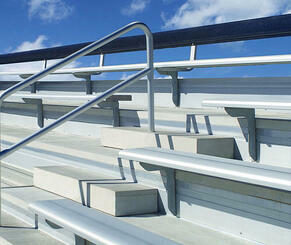 In 1999, one study showed that an estimated 22,000 bleacher-associated injuries were treated in the ER. Approximately 6,000 of these injuries were a result of the person falling from or through the bleachers and onto the surface below. Of those falls, about 5,000 involved children under the age of 15. 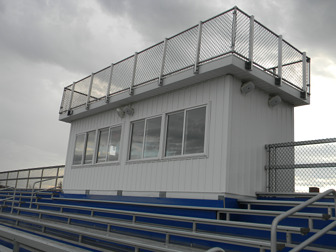 Bleacher hazards can occur due to older design problems, incorrect manufacturing or installation, or lack of routine maintenance. Routine maintenance is important to help pinpoint any structural damage or hazards that may compromise the integrity of the bleachers and threaten public safety. All hazards and deficiencies need to be corrected immediately and in some cases, bleachers may need to be rendered inoperable or taken out of use until they are repaired and deemed safe. Contact Ben Toadvine: ben@toadvine.com or Matt Roberts: mroberts@toadvine.com to schedule your next bleacher inspection so that your football fans can cheer on their home team with the confidence that their bleachers are safe and secure. 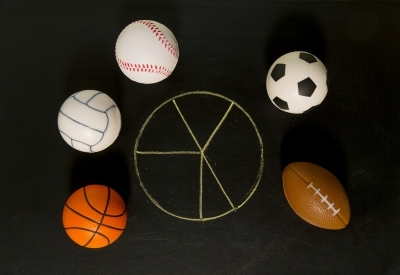 As the new academic year swings into action, many student athletes will begin swinging bats and field hockey sticks, shooting basketballs and spiking the volleyball net. It is important as to be compliant as a school and an organization with state standards and regulations to ensure the safety and well-being of your students, school personnel and your loyal fans. As an Athletic Director, you are responsible for overseeing and monitoring safety and compliance through regular inspections and proper upkeep, routine maintenance and keeping an awareness of changing regulations. By downloading our content offer, the Athletic Director's Survival Guide, you will receive key information to help you stay on top of legal and safety aspects of maintaining your facility, along with useful tips on extending the life of your school equipment, so that you can enjoy a maximum return on your investment. At Toadvine Enterprises, we not only provide you with quality athletic seating and equipment options, we also care about safety. For more information on maintaining safety in your school equipment, check out our Vine and Branch program. A search on the internet for bleacher safety will bring up multiple attorney listings and assistance for bleacher related injuries. Families today are exposed to unsafe spectator seating in a variety of settings and injuries relating to these accidents continue to call attention to the need for accelerated safety measures. 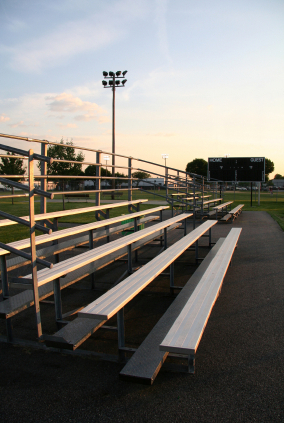 The U.S. Consumer Product Safety Commission (CPSC) examined bleacher injury associated data from 1991-1999 and revealed that there were an average of 19,100 bleacher-related injuries that were treated in the emergency room. In the year 1999 alone, 22,100 injuries were treated in the ER. Of those injuries 6,100 of them resulted from a fall from or through the bleachers onto the surface below. Because of the severity of these incidents, it is essential for organizations and schools to develop a plan to inspect, repair and maintain their seating systems to prevent incidents like these. We perform annually-required maintenance inspections on all equipment and seating and yearly contracts that work around your needs. Please contact Ben Toadvine: ben@toadvine.com or Matt Roberts: mroberts@toadvine.com or use our online form to request a regular maintenance check regarding the safety of your facility seating. 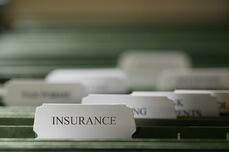 Toadvine is happy to assist you in maintaining the safety of your facility and your family. Severe weather and exposure caused a host of problems for South Point High School stadium in Belmont, North Carolina. After an intense inspection, the bleachers showed signs of distress from weather damage and were deemed unsafe. This determination threatened graduation ceremonies last year and cost the school district in excess of $500,000 to make repairs. Regular inspections of those bleachers could have caught that damage before it became threatening to the safety of spectators and sports fans. 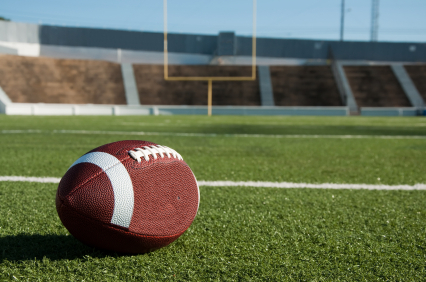 Instead, an unforeseen inspection by the district's insurance company shut down the stadium for graduation and even created uncertainty that the repairs would be complete in time for football season to begin. Kentucky and Southern Indiana also experience severe weather patterns similar to those in Belmont each season. We’ve had flash flooding, damaging winds, and severe thunderstorms. That severe weather could be bad news for outdoor sports equipment and grandstand seating. In order to protect your facility's grandstand seating, Toadvine Enterprises not only provides and installs your grandstand seating, we also service it. If you have a question about the safety of your bleachers, contact us for a complete safety inspection. It’s better to be safe than sorry.